Cookie Fries from The Cookie Joint. Really, how freaking cute are these cookie fries and dipping sauces?! Besides being completely adorable, they're also delicious - I particularly love the confetti cookies with marshmallow dipping sauce. Cumber 4 Ways: Absolute Elyx, cucumber soda, agave syrup, cucumbers, and Gotham Greens basil at Luxbar. I joined a group of fab foodie bloggers to welcome Gotham Greens to Chicago at a dinner hosted by Chicago Food Authority and fell hard for this refreshing cucumber cocktail. While I do enjoy a nice cucumber martini every once in a while, I was shocked at how much I loved this drink - thankfully, they sent us home with a recipe, a bottle of cucumber soda, and a container of Gotham Greens basil, so I can make this refreshing little number any time I want to! Roast Pork Loin with sautéed Gotham Greens bok choy, sweet potatoes, ginger & cherry compote, paired with Goose Island Matilda at Luxbar. As I mentioned on Instagram, this was one of my favorite courses of the entire evening. It was like Thanksgiving on a plate! Miki Sudo: black bean & corn salsa, citrus marinated shrimp, romaine, cilantro, Sriracha, and fresh lime at Taco in a Bag. I finally had the chance to introduce Mario to TIAB and of course, he absolutely loved it! At this point, I've sampled a good half of their menu and the Miki Sudo consistently has stayed one of my favorites. I love the cool, citrusy shrimp combined with the bite from the spicy Sriracha. Hands down, TIAB also has some of the best chips in the city! Housemade Lamb Ravioli with mozzarella, brown butter & sage, and sun-dried tomatoes from Pinstripes. 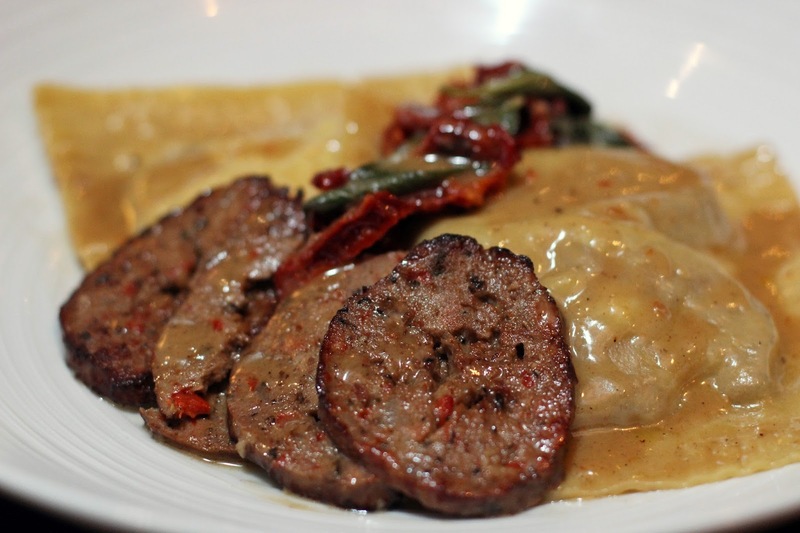 Mario and I stopped by Pinstripes to preview their fall/winter menu options and we both highly enjoyed this meaty, sweet ravioli. I have to admit that I'm usually not a big fan of lamb (it tends to be too dry), but this ravioli was moist and perfectly seasoned. 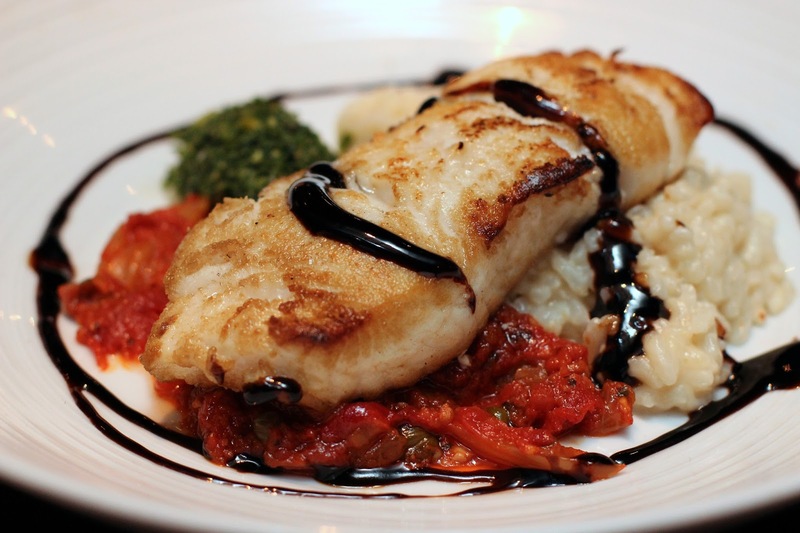 Chilean Sea Bass with citrus risotto, pistachio herb pesto, tomato conserva, and balsamic glaze from Pinstripes. This was another standout from the menu preview dinner. I especially enjoyed the pairing of the pistachio pesto with the citrus risotto - it added a surprisingly bright, zesty component to an otherwise fairly standard seafood dish. 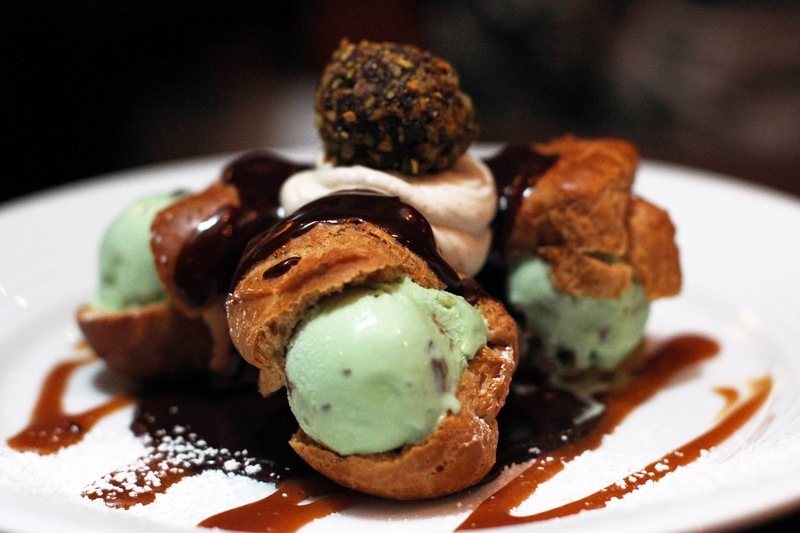 Pistachio Profiteroles with pistachio gelato, hot fudge, and caramel from Pinstripes. Yes, yes, and yes! I'm currently on a pistachio streak and these airy profiteroles with sweet, nutty gelato made me very happy. If you follow her on Instagram, you probably already know that Diana purchased her fab new condo earlier this year (yay!). Of course, we've already had several cooking get-togethers at her place, including a recent afternoon of grilling with PRE Beef. They're a local company working to bring high-quality, grass-fed beef with zero antibiotics, hormones, or coloring to the market. I'm happy to say we were both highly impressed with the quality of everything from the steaks to the lean ground beef! Carbonara in a Jar made with gemelli, crispy pancetta, parmesan cream, egg yolk, and pecorino from Siena Tavern. 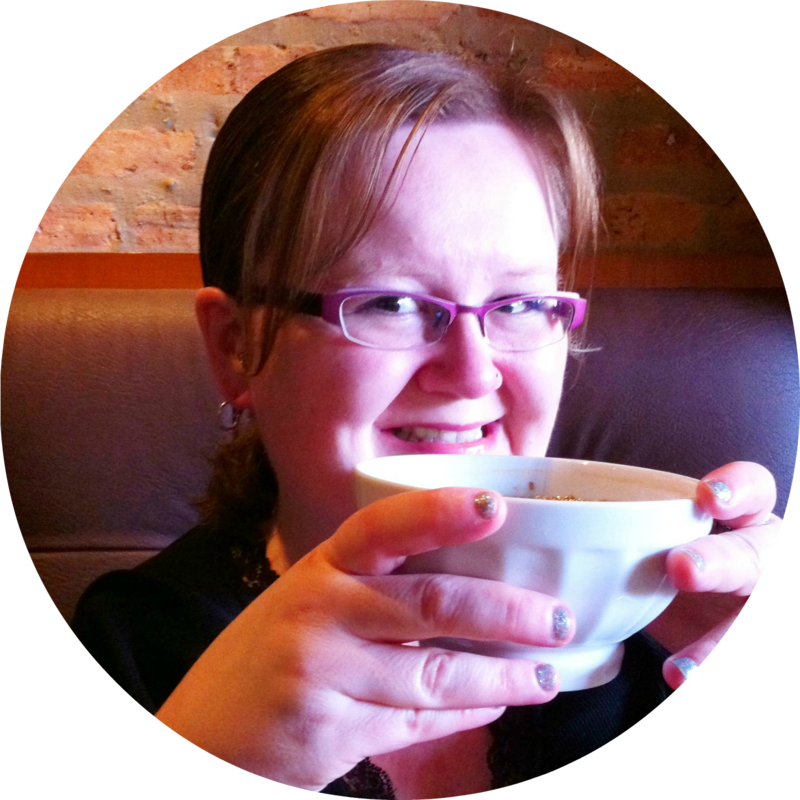 I had the chance sample to sample the new fall/winter menu items at Siena at a dinner that was headed by the beloved Fabio Viviani (and yes, he was just as adorable and charming as he was the first time I met him!). In order to keep the pasta from overcooking (a common issue with carbonara), Siena's play on the classic dish involves serving it in a jar that is shaken table-side. Not only is it a cool presentation, but also, the pasta is ridiculously tasty! Keen-Wow Sandwich: quinoa, kale, sundried tomatoes, manchego cheese, organic kettle chips, pickled onions, herb salad, and jalapeños on organic bretzel bread from Hannah's Bretzel. Le Cordon Bleu student Joyce Mac created this vegetarian sandwich as part of the Emerging Chefs competition, in honor of Hannah's tenth anniversary. Her winning sandwich was added to the menu at Hannah's for a limited time and I was lucky to have the chance to stop by and sample her crunchy, spicy creation (it was so delicious that even my confirmed carnivore boyfriend loved it!). Build-your-own Poke Bowl with ahi tuna with avocado, asparagus, teriyaki sauce, and mango salsa at the newly-opened Chicago location of How Do You Roll? After hearing numerous people rave about the sushi burritos at HDYR, Diana and I just had to stop by to check out the hype. While we both enjoyed the burritos, we found something even better: the combination of ahi tuna and the slightly spicy mango salsa. I easily could eat one of these poke bowls every day of the week and not get sick of it! OrganicGirl Mache Rosettes Greens, walnuts, and blue cheese at a dinner catered by the wonderful Matt Ayala (of Cochon Volant) at the gorgeous DL Loft (can I move in there, please?!). This simple salad was the perfect vehicle for my new favorite dressing from OrganicGirl. Chicken Thighs with roasted potatoes and rosemary at the OrganicGirl dinner. While I'm usually not a big fan of dark meat, even I have to admit this juicy, flavorful chicken is some of the best I've had all year! Vanilla Cake with strawberries and homemade whipped cream at the OrganicGirl dinner. A simple and lovely end to our fantastic evening! ETA: How Do You Roll? has closed. Thank you for including our Cookie Fries in your Monday treats!